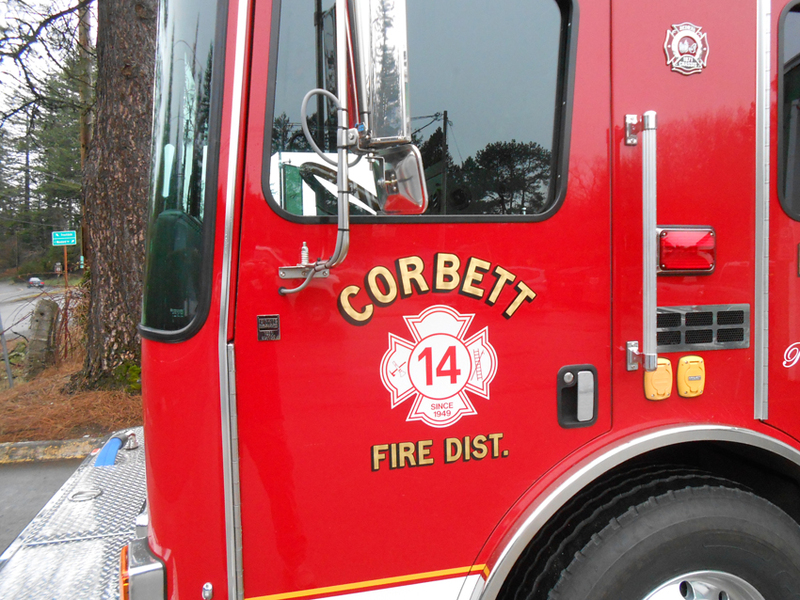 2017 was a year of change for the Corbett Fire District. 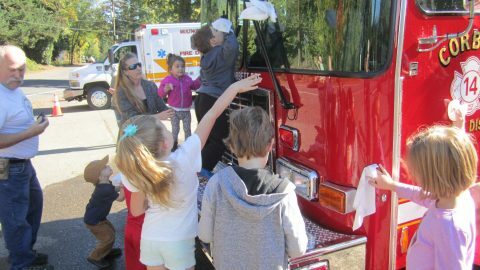 The year brought the historic Eagle Creek Fire to the community, a new fire engine (replacing a rig that had been in service for thirty-three years) to the Springdale community, and a new name for the organization. 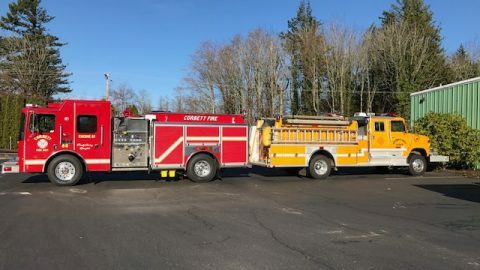 Previously, the term “Multnomah County Rural Fire Protection District # 14” was used to describe the fire department that serves the communities of Aims, Bridal Veil, Corbett, and Springdale. 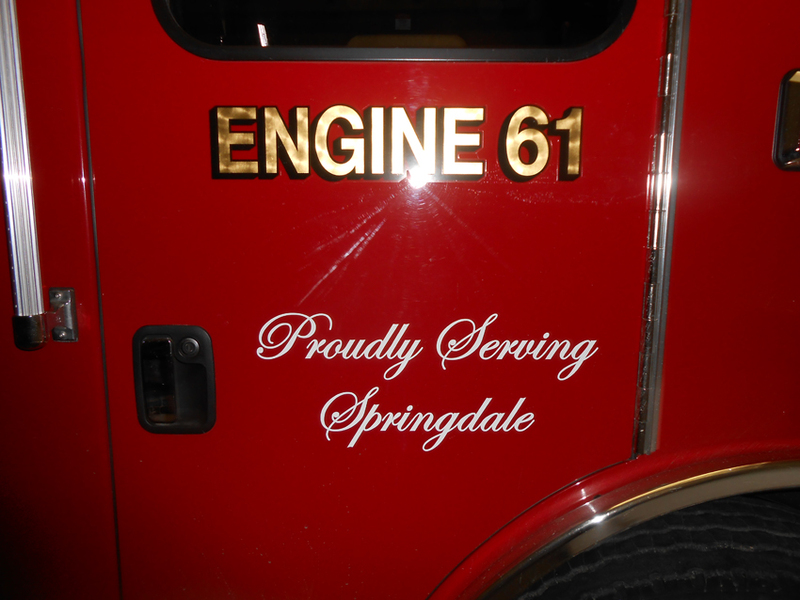 The old description is used by the county to describe taxing districts and it will still remain in place for business purposes, however the new name designates for the public the principal area that the fire department serves. 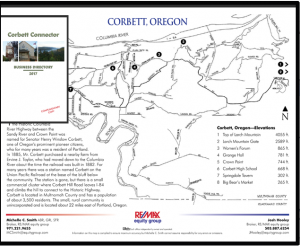 Other local government agencies in the area, such as the Corbett School District and the Corbett Water District, have adopted a similar nomenclature. 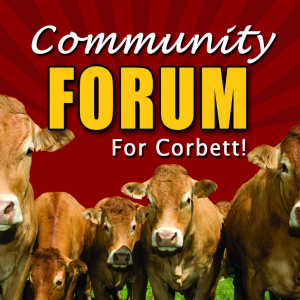 The Corbett Fire District will still provide fire protection, emergency medical service, and technical rescue services to the same geographical areas that it did before the change. 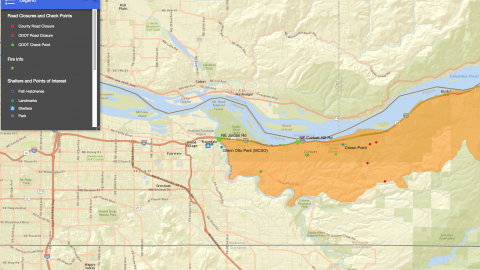 This approximate 40 square mile area is bordered on the west by the Sandy River, to the north by the Columbia River, to the east by the community of Bridal Veil, and the Clackamas County line is the southern boundary. The Corbett Fire District has three stations located in the communities of Aims, Corbett (main station), and Springdale. 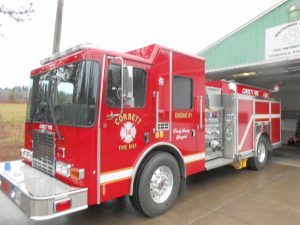 It is staffed with thirty-six volunteer firefighters and a part time Chief. 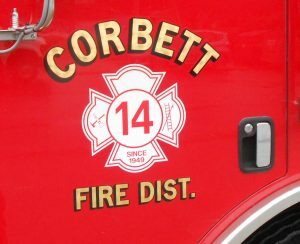 In 2017 the Corbett Fire District responded to 534 calls for fires and medical assistance to a population of approximately 4,000 people. 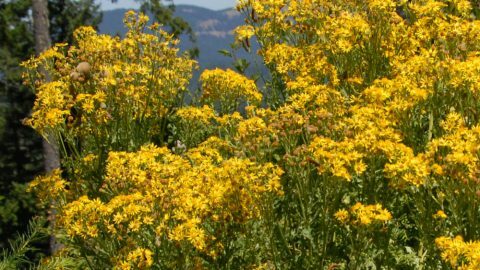 However, on a warm summer day the population increases significantly as people recreate in the Columbia River Scenic Gorge area. 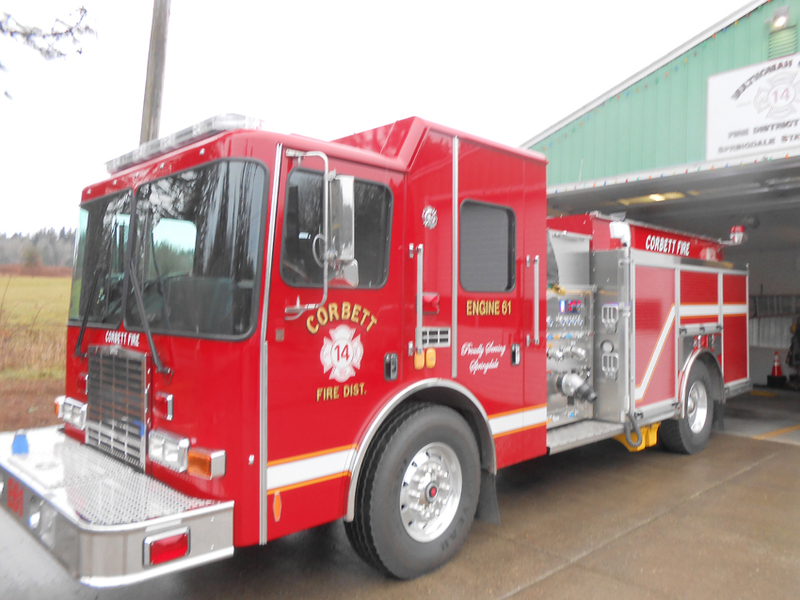 The only indicators to the public will be the lettering on the sides of the apparatus. (See pictures of new engine that illustrate the new logo) Initially, this will apply to only three rigs with a red color. 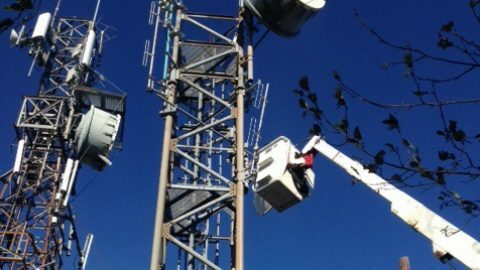 It will then be added to new apparatus when they are purchased. Additionally, the firefighters will be transitioning to wearing clothing that will have the new name. Everything else will remain the same.